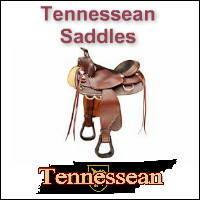 National Bridle Shop produced the Tennessean Lite Rider with horn for many years with tremendous success. We are once again considering building these saddles. This is the very first one! They will only be available by special order only. This one has stainless steel hardware and you may choose between leather or nylon tie strap and off billet at no extra charge. 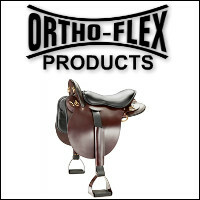 The Tennessean Saddle is designed to fit the Tennessee Walking Horse and Todays Gaited horses. This saddle is manufactured on a slightly shorter version of our famous Tennessean gaited horse tree, but with same features, width and angles of the original tree design. The narrow twist and double foam padded quilted seat provides extra comfort for those who spend long hours in the saddle. Padded metal stirrups are 5-1/2" wide with 4" bottoms. The short, neat 23-1/2" heavy fleece-lined skirt does not interfere with the natural swing of the fenders. Brass or Stainless Steel fittings, rings and crupper dee. Bar Spread Width: 12 1/2"
Traditionally (since 1996) all Tennessean saddles have been made with a bar angle of 88.5 degrees. The Tennessean Performance Series saddles now give the customer the option of either an 88.5 degree tree or the slightly wider 90 degree tree. Our saddle customers have horses of all shapes and sizes. We have fit horses as small as Icelandic ponies and as big as Friesian and Clydesdale horses as well as all the gaited breeds in between!Bobby Beech or Matt Miller would be happy to consult with you as to which tree width would achieve a positive fit for your horse. We will also send you (at no cost to the customer) a "fitting tree" to aid in determining the correct bar angle. This fitting tree consists of a unfinished Tennessean tree outfitted with only the skirt. . You may email photos of your horse or questions and comments to matt@wcircle.com. 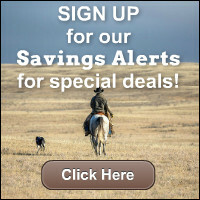 There is a restocking fee of $45.00 on all returned saddles.